It is projected to be warm and humid (70 degrees at 5:45am and 78 degrees at 10am). While we realize that you have made a tremendous commitment to training, our primary goal is to ensure a safe race for you. If you are not highly fit or if you have any underlying medical conditions, please consider adjusting your time goal or withdrawing from the race. This is a low-key, no-frills, bare-bones race, therefore no shirts or medals will be provided as part of registration. However you may purchase your own shirt with the race logo on SpreadShirt.com. We will email you a certificate of completion to print after the race. 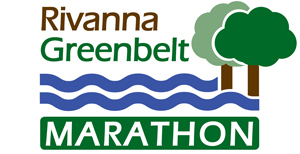 Due to the limited size of each race, runners will only be able to register for the Rivanna Marathon one time per year. Saturday, September 6 - Registration is FULL! Volunteers are essential to the success of this race! We need volunteers to help document splits at each of the three turnarounds. We also would like volunteers to help with setting up and managing the water stops. All volunteers receive a FREE CTC technical shirt (long or short sleeved).